As the story opens, Brodie's father commits suicide a few hours before delivering a guest lecture at Harvard. A learned man, many of his possessions consisted of old British history books, which Brodie entirely inherits. She begins to plough through them, one after the next, and it seems a nightmare from their pages has trickled into her life. Horrific dreams begin plaguing her as a mysterious evil is seemingly watching her, inching her closer to death. Her orderly life spirals further down into the pit of chaos, and she decides to venture to Scotland in order to see her aunt. When there she makes the acquaintance of a certain Joe Birnam, a veteran from the Iraq War with his own personal demons to contend with. As she Brodie soon learns though, those demons are more than just metaphorical, and as it happens she is stuck in the middle of a very dangerous game between forces unseen, the prize of which is Birnam's soul... a game she has no clue how to play. While the plot is centred around a paranormal mystery, the first thing you'll notice is that the romance aspect of the book plays as big of a part on the centre stage. While I would normally avoid romance novels, this is one where it not only fits in with the rest of the story, but is also made in a very realistic and believable way. Both Brodie and Joe have their fair share of emotional baggage and we clearly get to see how they've been shaped by their experiences through life. Their problems aren't exactly extraordinary, and as a matter of fact they seem like the kind many people around the world have to contend with day in and day out. I think what really helps to give this relationship an air of authenticity is that the obstacles to it always feel logical and natural, not as if they've just been fabricated for the purpose of spicing things up. As a result of the romance playing such a big part, most of the character development is centred on Joe and Brodie, to the point where sometimes we actually forget about the other people around them or that we're even reading a paranormal book. Considering the author's immense talent for shaping characters in a realistic way I had no problem with that; layers and layers of depth get added to them throughout the story and render the study of their nature as fascinating as the plot itself. They ultimately come across as very likeable and relatable protagonists and we simply can't help but root for them. Beneath all that romance and character development we also have a pretty curious and surprising story which, in my opinion, does an absolutely marvellous job and creating an atmosphere of mystery and maintaining it until the very end. Carmen Amato slowly reveals things bit by bit, but not without adding new questions to the equation to keep us on our toes. We are constantly working our little grey cells (so to speak) and trying to understand the predicament Brodie has found herself in and what the unknown rules of this very vague “game” actually entail. We guess time and time again, only to be surprised by the sparse but considerable twists the story has to offer. It does take a little bit of time, but once the supernatural elements really start to get developed the pace of the plot picks up and never lets go. It turns into a pretty thrilling ride with some action thrown in here and there, and it all leads to an ending that was actually set up rather ingeniously with little clues dispersed throughout the story. Everything gets wrapped up in a very satisfying and surprising way, stacking love, drama, thrills, action, hope and joy in a neat little bundle that leaves you with a sense of fulfilment. 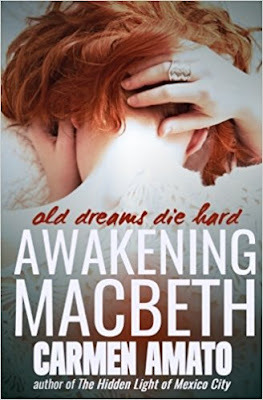 Even though I'm generally not the kind of person to read romance novels, Awakening Macbeth is one I can safely recommend to those who are in love with the genre and those on the fence about it alike. The attention to detail is nothing short of irreproachable, the paranormal mystery is expertly developed while the characters grow on us from the moment we meet them. All in all I feel this is one novel that deserves a much more recognition for the perfection it brings to the genre. 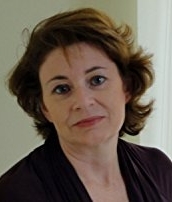 Carmen Amato is an American author of thriller and mystery books, with her best-known work being the police procedural series following Detective Emilia Cruz, including Hat Dance and Diablo Nights. She also penned a short story collection titled Made in Acapulco, as well as the political thriller The Hidden Light of Mexico City. Much of her knowledge about Central American comes not only from library research, but from the first-hand experience of actually having lived there.